An unexceptional plot. 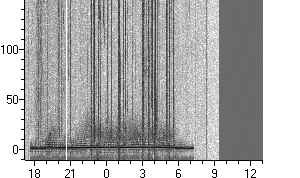 The vertical bands are due to interference on the channel. No RTW echoes observed. A close-up view of the same thing. No interesting features observed.